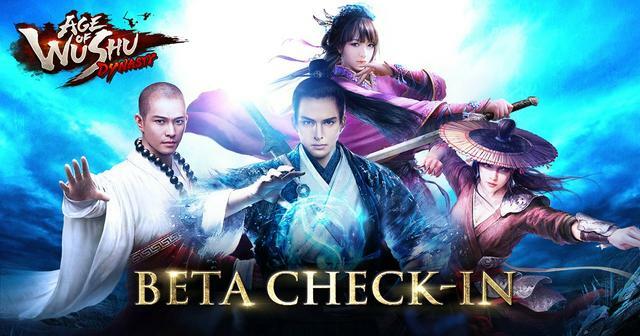 The Age of Wushu Dynasty beta tests are just around the corner, and we’re very excited to announce our special pre-test Check-in Event. Beta Test invites will be sent out to eligible individuals based on their registered emails subscribed to our Official Website. If you haven’t already, visit our site to Subscribe, and include your location and preferred email. In order to Check-in, you’ll need a Forum ID. To do this, simply click Register at the top of the Forum. If you already have a registered Snail Login, simply log in with that and choose a Forum name. Forum names can’t be changed, so choose yours carefully. -Device System: iOS, Android, Windows, etc. Option 1: Include the email you subscribed with for your post, with the middle section removed. Option 2: Send your email directly to our moderator as a Private Message. Note: Checking in does not guarantee an invite, only consideration for one. Snail Games reserves the right to choose Beta test participants as it sees fit.